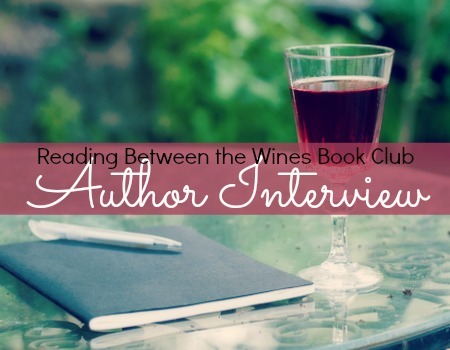 Reading Between the Wines Book Club: #Interview with author, Cynthia Eden of TORN! Lexi: We love to have authors come back again and again. Especially when they have a new release in a series we love! 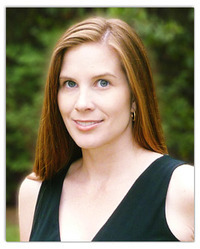 Come fan girl with us and welcome back to the blog, Cynthia Eden! Thank you so much for having me back!! Lexi: Where do I begin? We know where you began, with paranormal romances that we really sunk our teeth into. And the LOST series is a gripping romantic suspense. Gripping may be putting it lightly. Have you been loving writing the LOST series and recently about Wade and Victoria in TORN? I have enjoyed writing this series so much! It’s been interesting to go really dark with the suspenses and to see what happens with the characters. I’ve also learned a whole lot while researching! I think Victoria’s character really taught me the most—there is so much involved with forensic anthropologist. I will never think of the dead the same way again. Lexi: Each LOST book has kept us on the edge of our seats. You have the suspense thing down! Do you have a routine or habitual thing you have to do before sitting down and getting in the mind of a serial killer? I’ve found it really helps to listen to the right music in order to set the mood (so to speak). So if I’ve got a killer about to go off on a dark path, I’ll listen to some driving, pounding music. It just helps me to get my head in the game (that sounds crazy, I know). And I also try to read a lot of books about real-life serial killers right before I begin a new project. When I can understand more about their thought processes, it makes it easier to write about them in my books. Lexi: We wouldn’t mind getting in the head of Wade, the agent who is Victoria’s partner on the Georgia case. When the killer turns their attention on Victoria something clicks for Wade. It’s those huge moments of realization that keep us coming back because we get to see your characters grow and change. What does it feel like as the author to see the personality of your MC unfold? Did Wade come to you complete or did you slowly learn about him as you went? Wade definitely did not come to me complete—I feel like he kept surprising me as I wrote about him. When he first appeared, he was a “straight shooter” sort. The following-the-rules, “good guy” but the more I wrote about him, the more I saw that he had a lot of layers, often dark layers. I loved getting to explore the dark side that he had hidden inside. Lexi: In TORN you introduce a couple new LOST members. Do you already know who will be up next in the series? Maybe even the next couple of books? I do!! ;) The next book, TAKEN, will be about one of those new agents—Asher Young (ex-Navy SEAL). Asher has a twin sister, and she will get her story told, too. Lexi: Just knowing there will be more LOST books made our day! Thank you for coming by the blog, Cynthia. We love having you here but even more…we love reading your books! Congrats on the release of TORN! Thank you so much for having me back! It was a pleasure. Have a wonderful summer! Don't miss a second of the heart-pounding LOST series!